Electronic cigarettes, better known as vapes and Juuls are unhealthy, addictive and even deadly for young children. These electronic devices are now being created to look cool and hip, to attract the younger generations. Devices can look like pens, USBs and have the ability to light up. Going another step further, the vape juice or e-liquid can contain nicotine which is then flavored to attract kids. Vape juice is available in hundreds of different flavors like cannoli, cucumber, vanilla custard and lemonade. 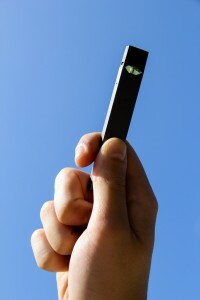 Vapes and Juuls are sweeping through middle and high schools and are quickly becoming a problem for underage kids. Why is Liquid Nicotine Dangerous? 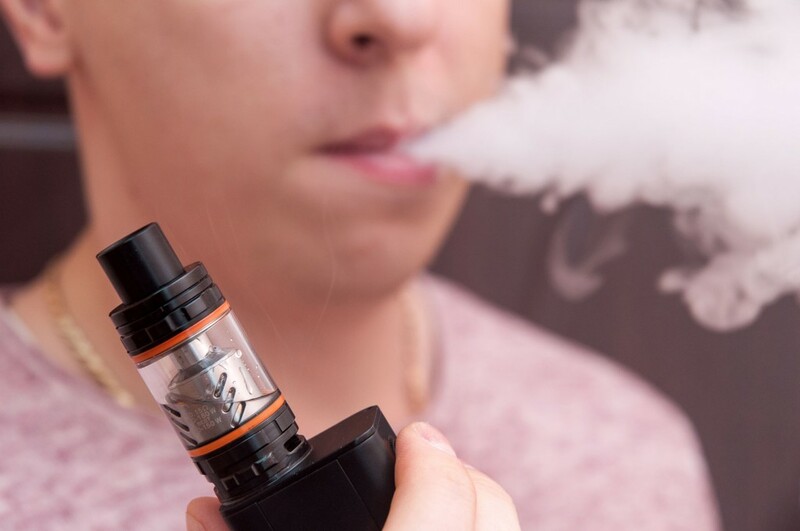 For parents who vape as an effort to quit smoking cigarettes, there is something you must keep in mind: E-juice, or liquid nicotine, is very dangerous to infants and young children under the age of five. The liquid nicotine is considered poisonous to young children if there is direct contact between the skin and liquid. The first death of a one-year old child occurred in 2014 and since 2015, more than 2,400 calls to poison control centers have been recorded. There are three different ways in which a child can become poisoned. The first is through direct skin contact when the liquid is absorbed into the blood stream. The second way is when the liquid comes in contact with the child’s mouth and is absorbed through mucous membranes. The third exposure route is when the liquid is swallowed and absorbed into the intestinal tract, which can become very dangerous. If you suspect your child may be experiencing liquid nicotine poisoning, immediately contact the Poison Center hotline at 800-222-1222. Symptoms to look out for, but are not limited to, include: trouble breathing, vomiting, increased heartbeat, and shaking. Many of the bottles that the liquid is packaged in are not child-resistant. Though some states require this type of packaging, it is recommended that parents transfer the liquid into child-resistant bottles and store the bottles out of the reach of children. This entry was posted in Child Safety and Prevention, Children and Technology, Grade School, Teenagers. Bookmark the permalink.